An original, singular and naturally unique design: the table Capriccio signed by Edra. 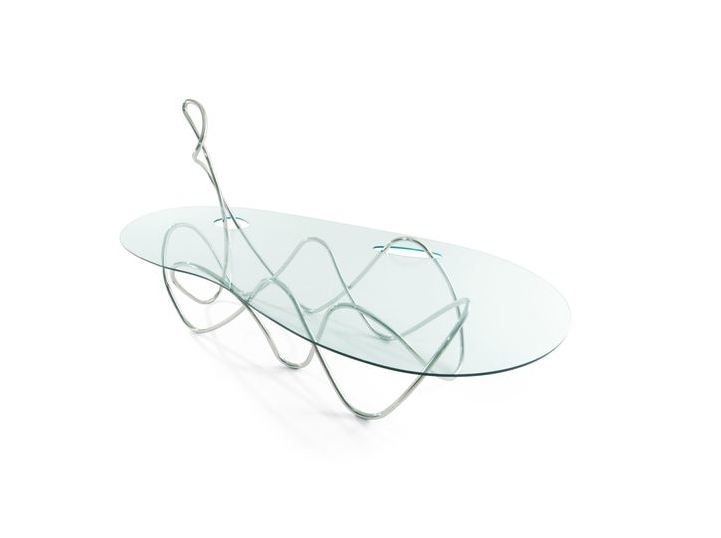 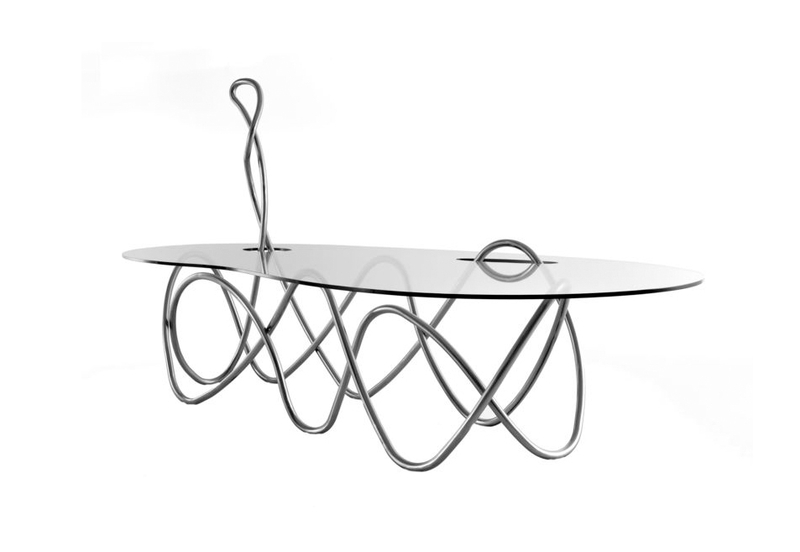 The intertwine of two winding systems of metallic tubular, curved, brushed and hand-polished, support the glass top with its irregularly rounded-off, rectangular shape. 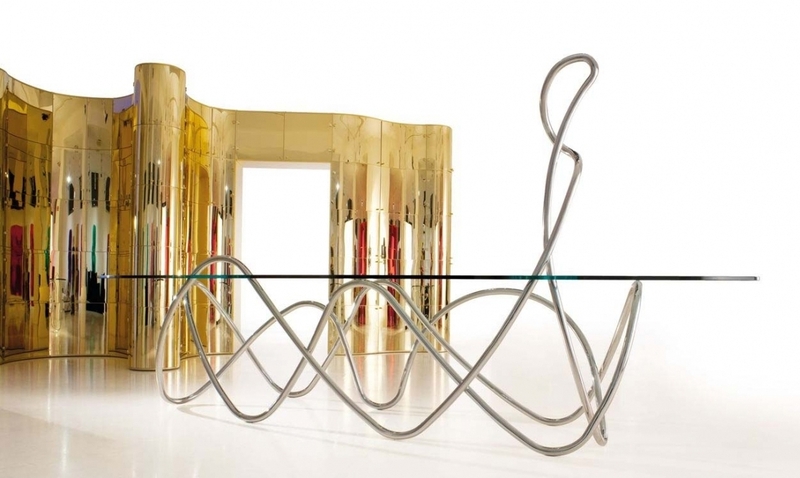 The structure’s metal surpasses the top, which is as artistic as it is singular. 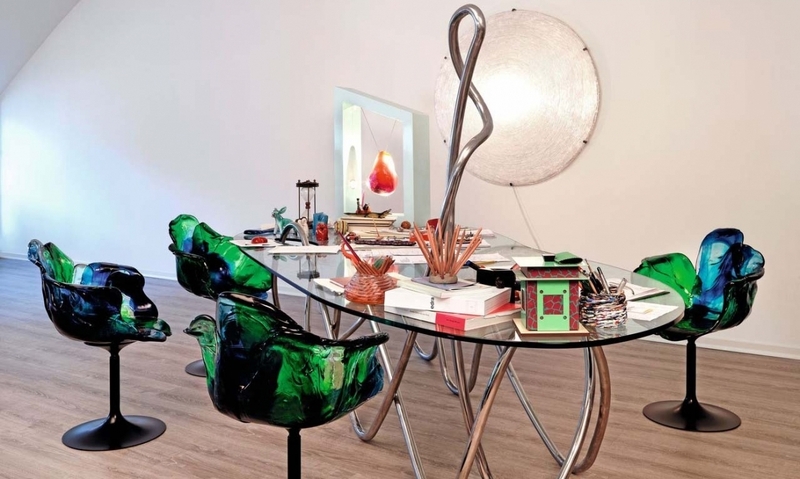 Capriccio: for Edra it was ‘inspiration’, for the living room It’s going to be ‘magic’.